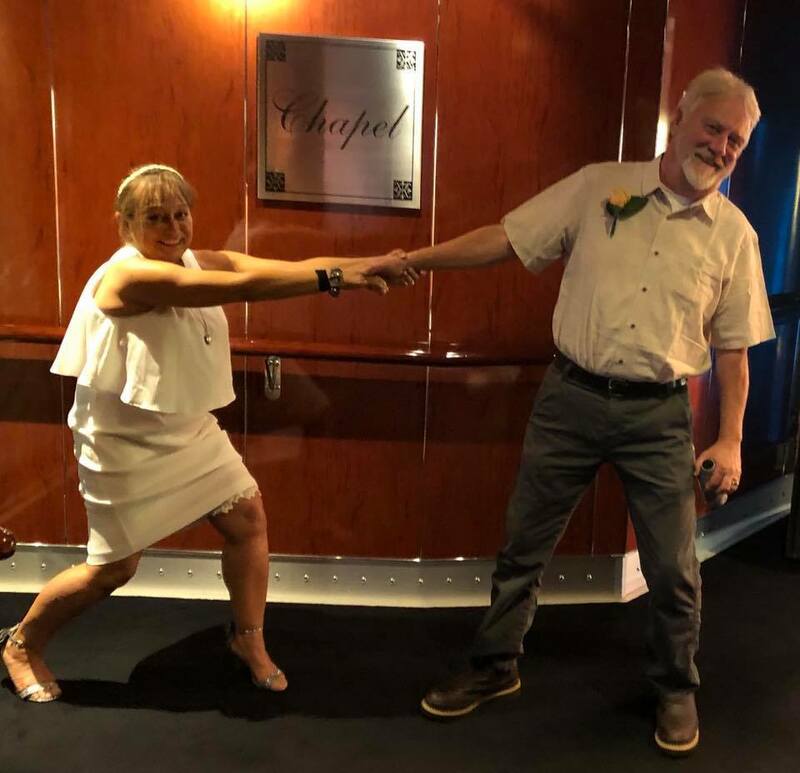 Performed my first wedding aboard Norwegian Pearl in the Chapel, on October 1st, 2018 on the way to Skagway, AK. This was the end of the ceremony, where they were pronounced man and wife. 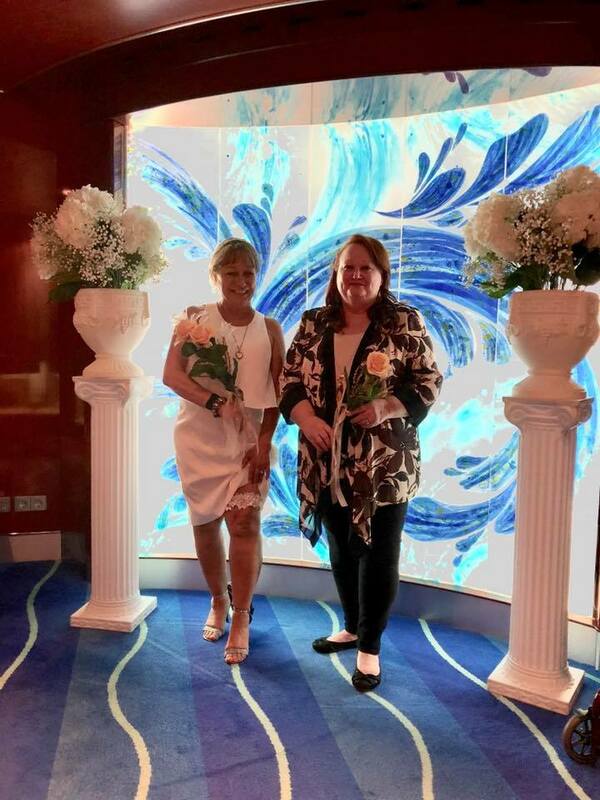 Prior to ceremony, bride and maid of honor in Chapel of the Norwegian Pearl ship. 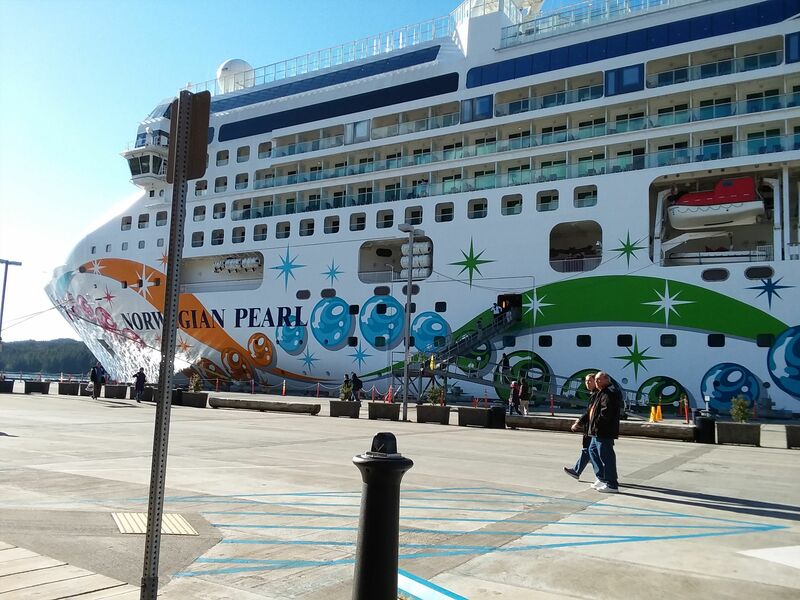 This is our magnificent ship, Norwegian Pearl at the pier of Ketchikan. wow. are you the ship chaplin? 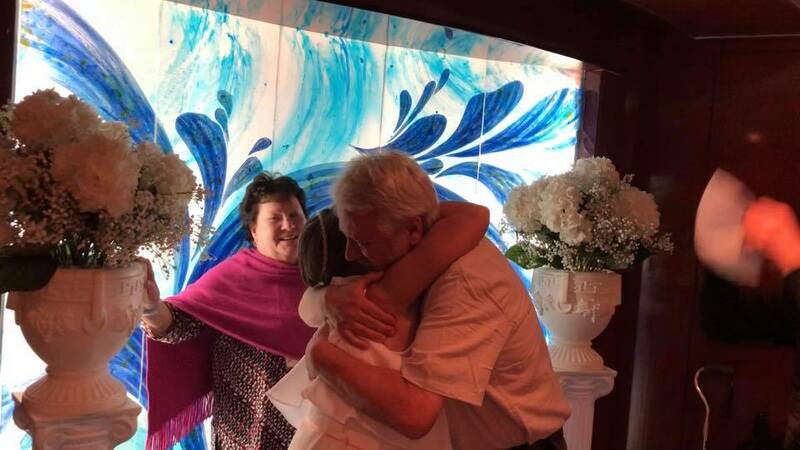 you get to do weddings at sea all the time, or was this some special trip? I never did a wedding at sea. Well ok, I haven’t done any weddings yet, only funerals, but what you do sounds like a lot of fun. And you get to join people together so that’s a very special thing. Best of luck with your ministry.